In 1976, U.S. Air Force SR-71 Backbird crews flew from New York to London in less than two hours, reaching speeds exceeding Mach 3 and setting world records that have held up for nearly four decades. 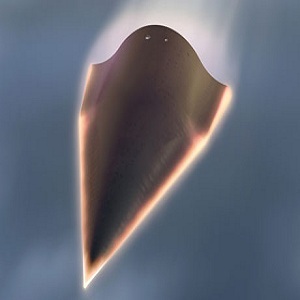 “Hypersonic aircraft, coupled with hypersonic missiles, could penetrate denied airspace and strike at nearly any location across a continent in less than an hour,” said Brad Leland, Lockheed Martin program manager, Hypersonics. “Speed is the next aviation advancement to counter emerging threats in the next several decades. The technology would be a game-changer in theater, similar to how stealth is changing the battlespace today. A hypersonic plane does not have to be an expensive, distant possibility. In fact, an SR-72 could be operational by 2030. For the past several years, Lockheed Martin Skunk Works® has been working with Aerojet Rocketdyne to develop a method to integrate an off-the-shelf turbine with a supersonic combustion ramjet air breathing jet engine to power the aircraft from standstill to Mach 6. The result is the SR-72 that Aviation Week has dubbed “son of Blackbird” and integrated engine and airframe that is optimized at the system level for high performance and affordability. 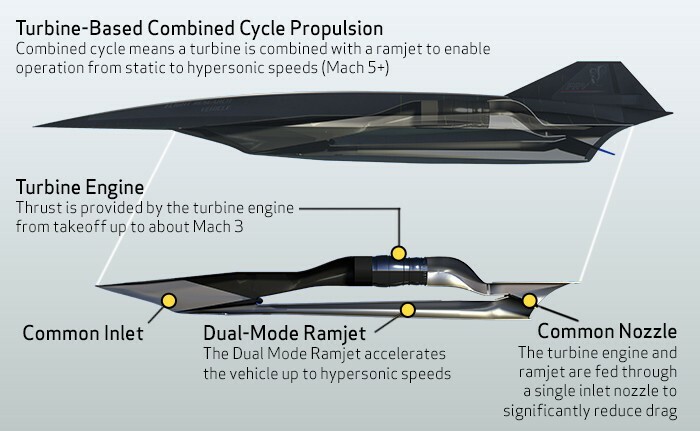 Taken from the web page of Lockheed Martin. Added ilustrations of SR-71 and HTV-2.